Dr. James Lowe has built one of the most respected plastic surgery practices in the Oklahoma City, OK, area. His technical expertise, artistic eye, and compassion have helped many to achieve the enhanced appearance they desire and the boosted confidence they deserve. Lowe Plastic Surgery stands apart because we build lasting partnerships in which we help patients look and feel their very best. Dr. Lowe offers a full range of cosmetic and reconstructive surgery procedures, which he performs in an on-site, state-of-the-art surgical center. Under our care, your privacy, comfort, and satisfaction are our top priorities. Before planning any procedure, Dr. Lowe will take careful note of your goals and needs to recommend the right treatment, and will take all the time needed to educate you and answer your questions. To schedule a consultation with Dr. Lowe, contact our office today. Dr. Lowe is a board-certified cosmetic and reconstructive surgeon with special certification in microsurgery. 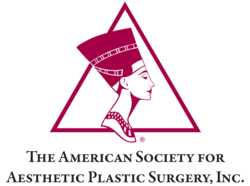 He is passionate about helping patients achieve the best possible benefits of plastic surgery, and has a long track record of providing exceptional results. Dr. Lowe also offers a variety of non-surgical therapeutic treatments, including complete skin care and resurfacing in our luxurious medical spa. Patients can experience dramatic rejuvenation through laser skin treatments, dermabrasion, chemical peels, and BOTOX ® Cosmetic. Dr. Lowe performs all dermal filler injections himself. His practice also offers in-depth skin consultations and personalized recommendations for maintaining a youthful appearance. During every patient consultation, Dr. Lowe provides honest recommendations based on open communication and expert analysis of your health and goals. He will take all the time necessary to thoroughly and patiently explain treatment options, including their benefits and risks. Dr. Lowe will never try to “sell” a surgery to you. Instead, he will only recommend treatments he believes will provide you with substantial long-term benefits. Our experienced staff is ready to answer questions and schedule an appointment for your individual consultation with Dr. Lowe. To help place treatment within your budget, we offer CareCredit℠ financing. Contact our office today! Lowe Plastic Surgery stands apart because we build lasting partnerships in which we help patients look and feel their very best.